If you know me and/or my family, you know we are very competitive. We are competitive among each other and as a family. We also love OREO cookies. So when I heard about the OREO Dunk Challenge, I knew we were up for the challenge. 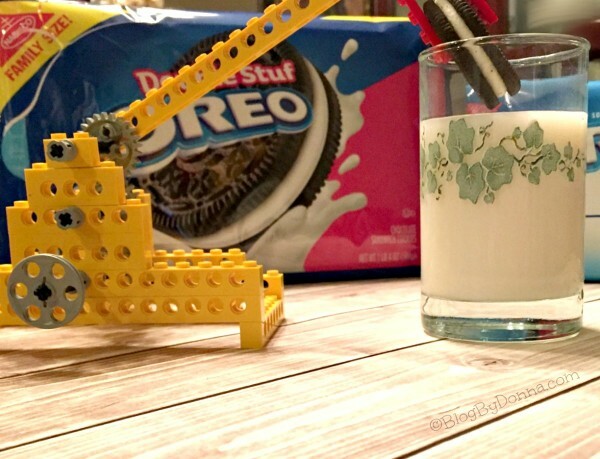 Dunking OREO cookies into cold milk? What’s not to love about that?! 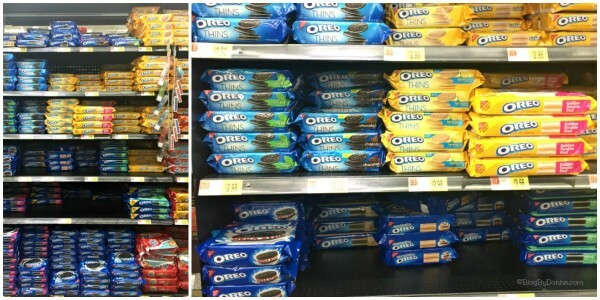 I headed to Walmart to pick up some OREO cookies. I ended up getting the family size Double Stuf, OREO Chocolate Creme, and a package of the OREO Thins. 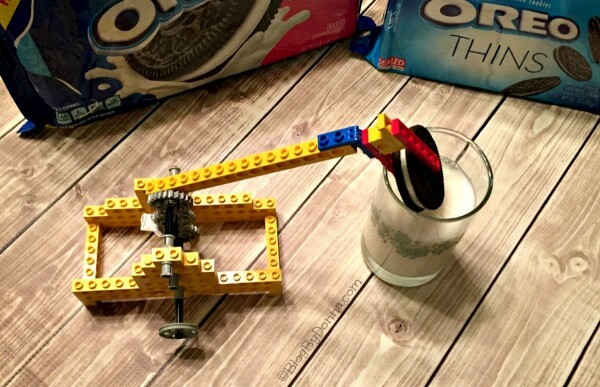 When I got home with my OREO cookies my son had already thought of a way to dunk our OREO cookies that I thought was really cool. He built what we lovingly call, Dunkin — a play on the name Duncan… get it? I wish I could take the credit, but it was my son’s idea. As you can see, Dunkin dunks OREO cookies quite nicely. 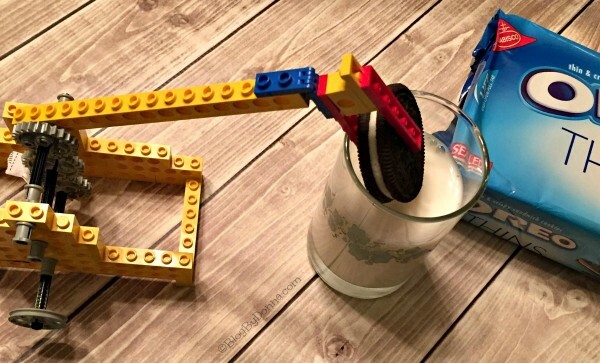 I think my son came up with a creative way to dunk OREO cookies. He definitely thought out of the box. And now we’re ready to enter the OREO Dunk SweepStakes. It’s an easy, not to mention delicious, sweepstakes, too. Anytime before 3/5, you can enter the OREO Dunk Sweepstakes for a chance to win a VIP Dunking Experience with Christina Aguilera or Shaquille O’Neal! To enter, just upload a photo and/or video of your dunk style to Twitter or Instagram using #OREODunkSweepstakes. Visit the sweepstakes page for all rules and regulations. 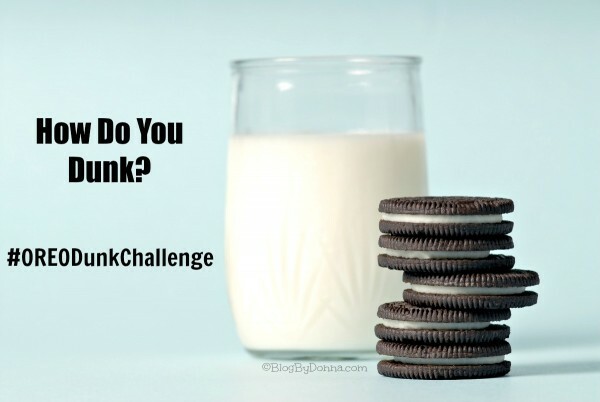 So for a chance to win BIG… show us your dunk in the #OREODunkSweepStakes here – https://ooh.li/1c93664. OFFICIAL RULES: bit.ly/OREOSweepsRules. LOL, that is so cute. I don’t dunk, but my sister was a dunker. Thanks for posting! We are an oreo loving family! I’ve seen the challenge advertised on television. Seems like a fun sweepstakes. Thank you for sharing. I could go for an oreo cookie right now. I absolutely love this!! It is so cool and I hope y’all win. I love Oreos myself. I am definitely up for this challenge, thank you for sharing this opportunity. I think your entry is great! I hope you win.